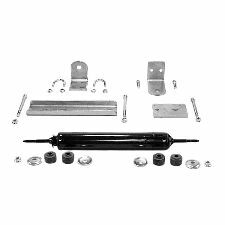 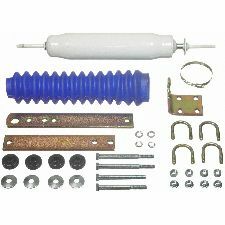 Showing 1 - 9 of 9 Products for Steering Damper Kit. 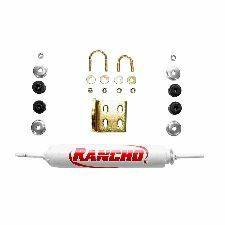 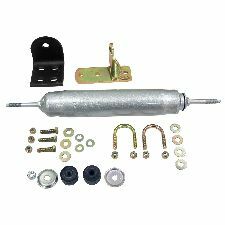 Single Steering Damper; with Quad Suspension; Contains Steering Damper and Mounts; Most 92-96 fullsize 4WD Bronco and F-150 trucks are equipped with the lower mount of the factory quad shock option, which is needed to mount our RS97489, RS98508, RS5565 & RS5566 steering stabilizer systems. 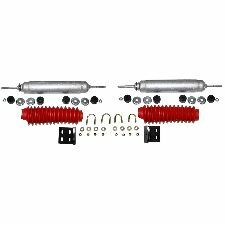 Dual Steering Dampers; with Quad Suspension; Contains Steering Damper and Mounts; Most 92-96 fullsize 4WD Bronco and F-150 trucks are equipped with the lower mount of the factory quad shock option, which is needed to mount our RS97489, RS98508, RS5565 & RS5566 steering stabilizer systems.